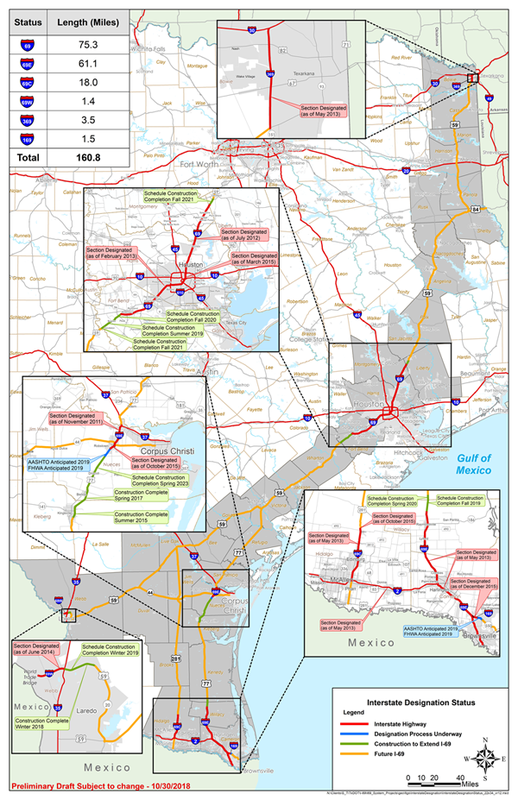 The I-69 system will extend through Texas, Louisiana, Arkansas, Mississippi, Tennessee, Kentucky, Indiana and Michigan providing a continuous new interstate corridor connecting Mexico, the United States and Canada. The I-69 system in Texas is being developed through a series of incremental upgrade and relief route projects to bring those highways up to interstate standards. To date, approximately 161 miles of the I-69 system in Texas have been designated as interstate. Almost 100 miles of the network of highways meet or are being constructed to meet interstate standards. However, because these highways do not yet connect to an existing interstate system, in accordance with Federal requirements, they cannot be designated as interstate. Approximately 828 miles remain to be constructed to meet interstate standards. 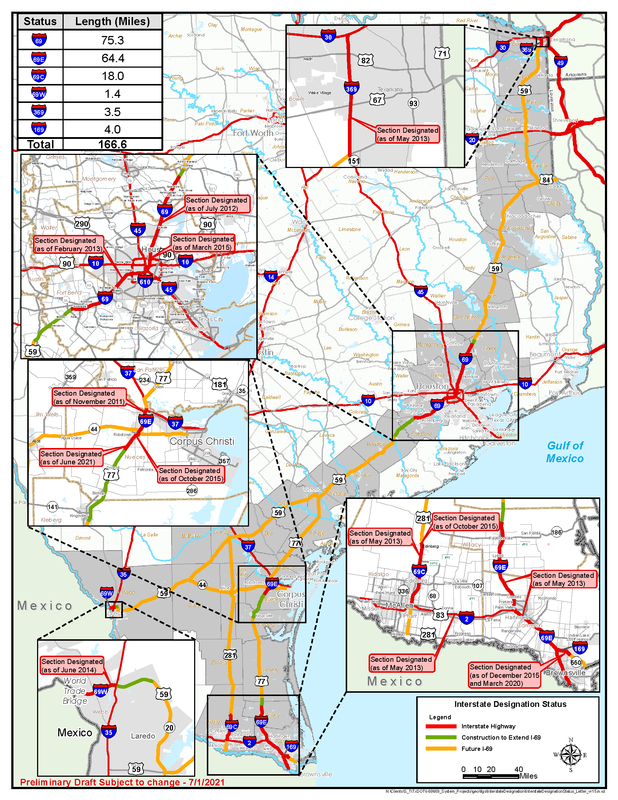 It is important to note that the total mileage of the I-69 system in Texas will likely change as upgrade and relief route projects are identified and advanced, which may modify the length of the existing routes.